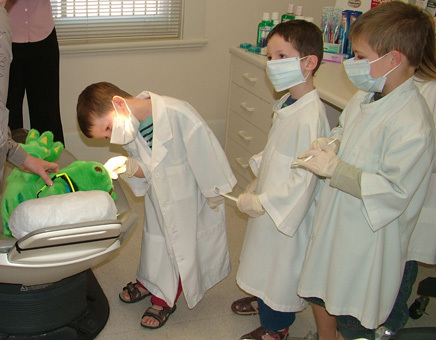 Dentists, dental hygienists, dental assistants and registered teacher in attendance. Plus each child received a free dental goody bag, and there’s tea or coffee for mum or dad. To book a spot, speak to the staff at reception at your next visit, or ring the Payneham Road Dental Centre on 8363 2025.